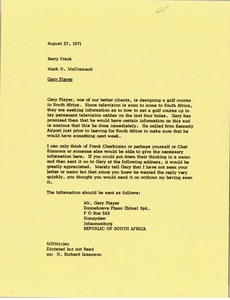 South Africa - McCormack names Gary Player "one of our better clients" and explains he is designing a golf course in South Africa. 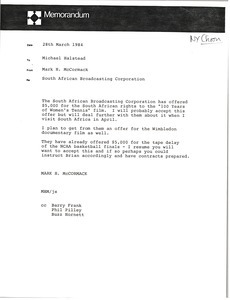 He notes that television is coming to South Africa and Player would like to know how to set a golf course up to lay permanent television cables on the last four holes. 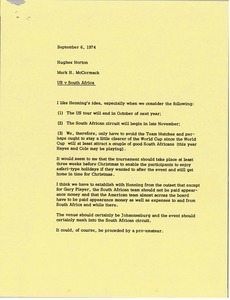 South Africa - McCormack gives an idea on how to structure the United States versus the World match in South Africa. 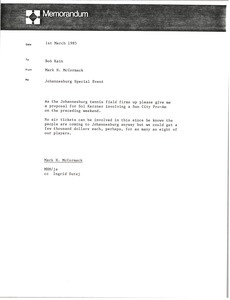 South Africa - McCormack would like a proposal for Sol Kerzner involving a Sun City Pro Amateur event. 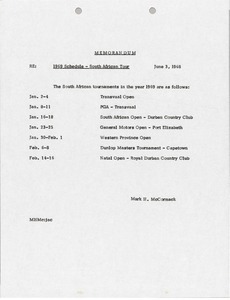 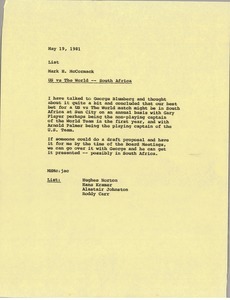 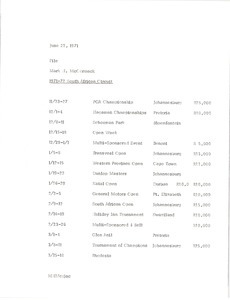 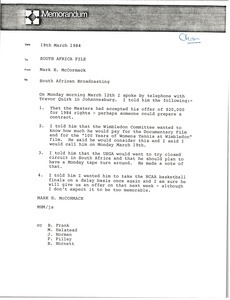 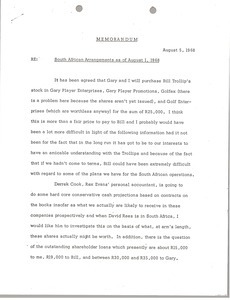 South Africa - Concerning a United States vs. South Africa golf tournament. 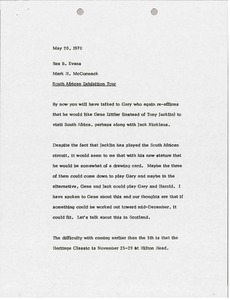 McCormack proposes possible format, scheduling, fees for American and South Africa players, prize money, and other details.